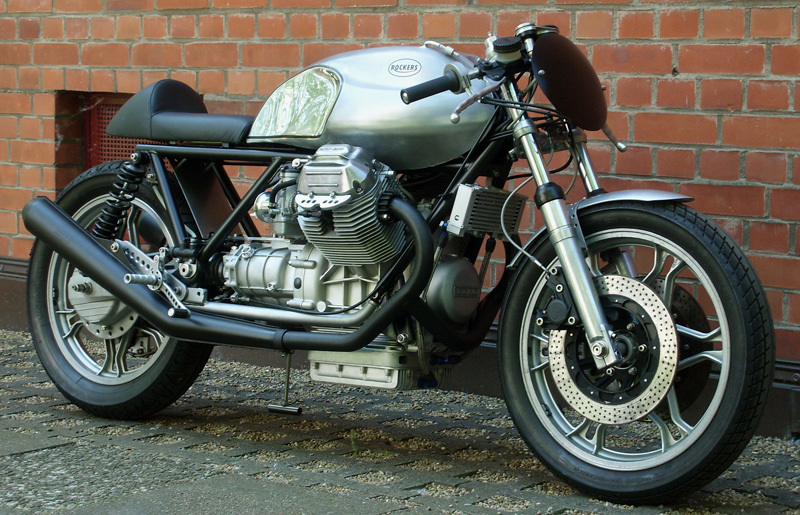 German bike builder Axel Budde has been modifying Moto Guzzi Le Mans for over 14 years, and it definitely shows. 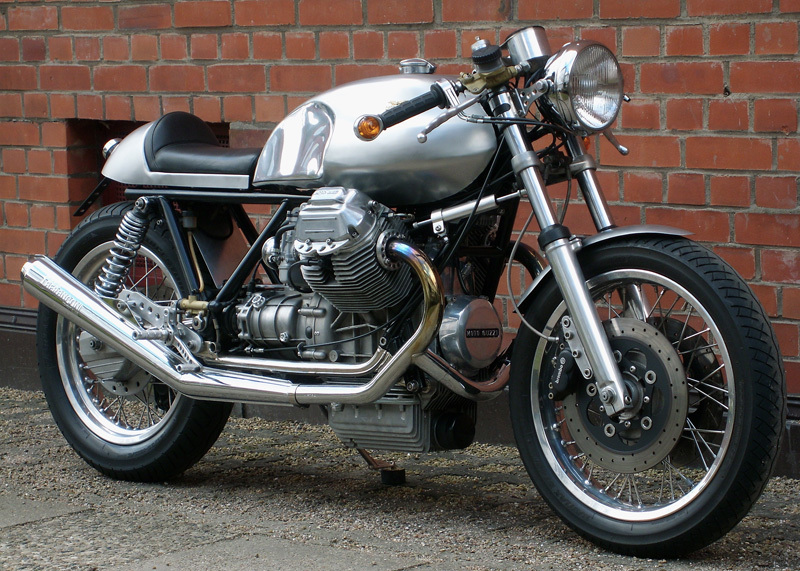 These two Moto Guzzi’s have been built with meticulous attention to detail. Axel told us “to describe all the modifications would take too long, so here are the most important ones… The streetbike (above) is a 1985 Le Mans 4 and is basically only the housing of the engine (1040ccm, 90hp). Frame has been cleaned and cut. Fork is stock with improved springs and damper. Aftermarket wheels, tank and exhaust. The rest is selfmade or modified, including finish and paint. The racebike (below) is a 1979 Le Mans 2 frame, cleaned and cut. Engine is a modified Le Mans 4 (1040ccm, 93hp). Improved stock fork, stock wheel, aftermarket tank and exhaust. Like the street bike everything else is selfmade or modified, including finish and paint”. 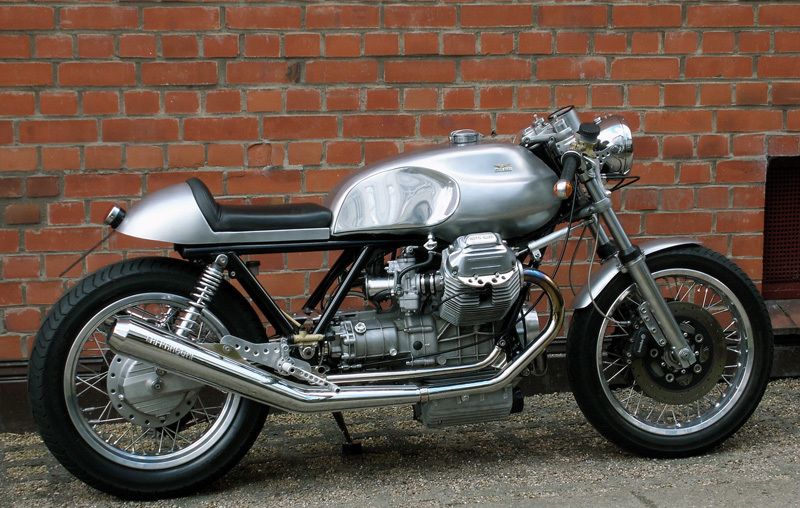 These bikes are jaw-dropping examples of Guzzi Cafe Racers. 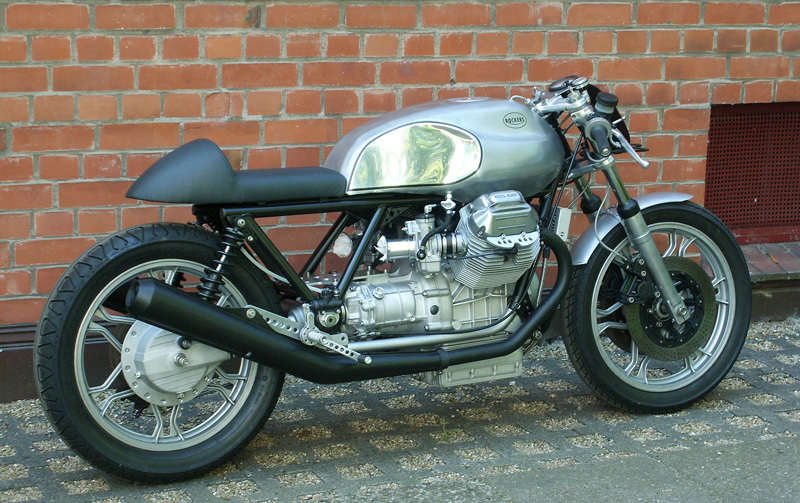 If you live in Europe and you want Axel to build you one of these Italian masterpieces he can be found at Roll-it.org.